It’s been less than a month and, once again, I found myself watching yet another superhero film (after only recently reviewing the new Incredibles film). 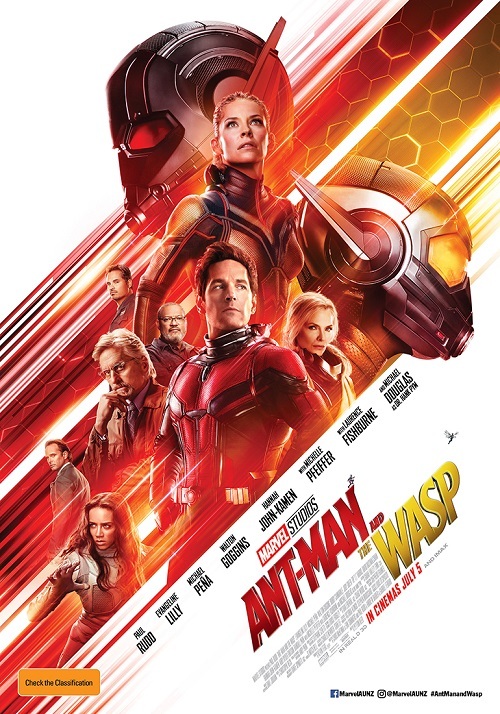 I did enjoy the antics of the original Antman and although I am burnt out on the superhero action genre in general, I was looking forward to this sequel. Just a heads up and disclaimer: I am not entirely up-to-date on all of the Marvel movies but I have seen enough of the Marvel universe to be up to date with the previous plot points everyone should be aware of. 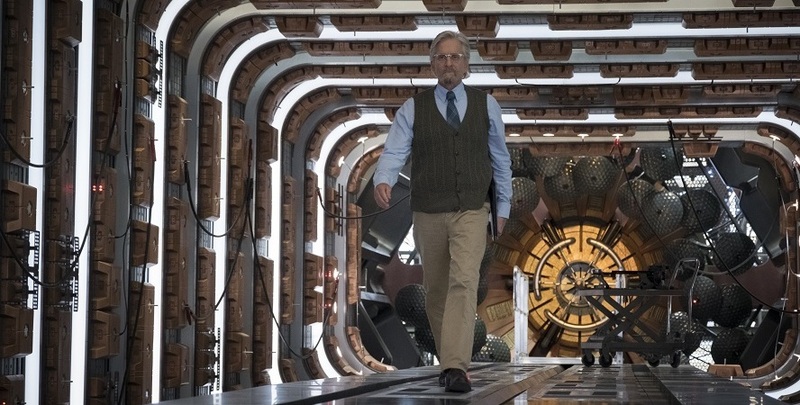 The film’s story opens with a flashback to 1987 and the Antman, Hank Pym (Michael Douglas), and Wasp, Janet Van Dyne (Michelle Pfeiffer), as they say goodbye to their daughter before suffering a fatal misadventure which traps Janet in the quantum realm. In the present day, following the events of the original film where Scott Lang (Paul Rudd) was able to escape shrinking into the quantum realm, Hank wonders whether it possible to venture in himself and attempt to locate his wife. Meanwhile, Scott languishes under the final days of his house arrest following his arrest after the events of Civil War but is overcome by a strange vision of Janet in the quantum realm and attempts to get in contact Hank to discuss it. Scott is promptly kidnapped from his home by Hope Van Dyne (Evangeline Lilly) and the race is on to unravel and make use of Scott’s vision to rescue Janet. The film’s narrative suffers from an overactive agenda; there is just too much going on for the film to really on any particular element with any depth. As well as juggling the relationship between Scott and Hope, the film also features three separate antagonists (of very degrees of menace and capability). Throw into this mix the return of the supporting cast from the first film and you end up with a script which, unfortunately, has no time to really rest on any one plot point. The good aspect of this is that the film always has something which pulls the action along and keeps the film’s tempo very lively. The short end of this particular stick is that every other aspect of the film besides the action gets sidelined. In this vein, the film’s action is polished but largely uninspiring when it comes to standing out amongst the deluge of superhero action films. It’s not bad but there’s no particular sequences or moments which would really leave an impression beyond the film’s runtime. The climactic third act was pretty much what you’d expect from a Marvel superhero film and it does its job well enough. The film does keep some of the comedic tone from the first film by including of slapstick and absurdism; generally through the use of the miniaturisation and enlarging technology utilised by the protagonists. Most of the action is played straight and ultimately ends up being rather forgettable in my books. You’ll enjoy it while you’re watching it but I’d doubt that you’d be raring to come back and watch it again any time soon. The funniest moments in the film are the few moments characterisation which are unfortunately few and far between due to the film’s lack of focus. 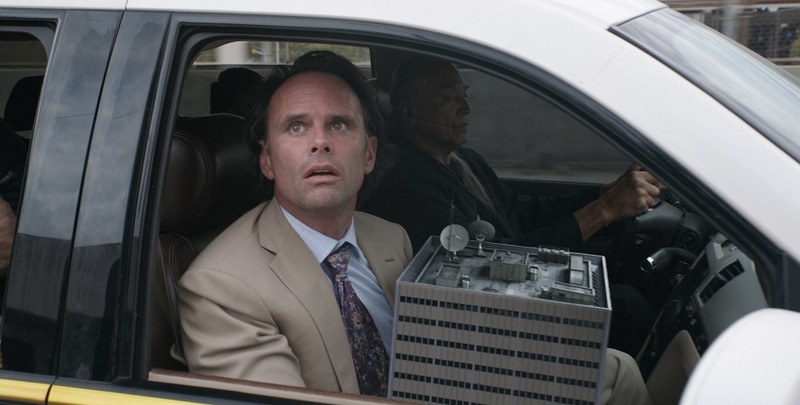 It’s unfortunate as they yielded some of the film’s strongest performances with Michael Peña’s Luis having one of the funniest sequences in the entire film. Another sequence featuring Rudd, Douglass and Lilly had a similarly strong element of humour through exaggerated characterisation which my companion and I found to be quite humorous and somewhat heart-warming. However, there are certain elements of Rudd’s performance in that sequence which could be understood as homophobic; I am not an authority on this and my reading could be off so if you watch the film and find the scene more problematic than not, feel free to comment below and voice your concerns. The film’s visual direction really does have much in it which is wholly original. A lot of the film makes good use of the aforementioned slapstick potential of the size changing technology which our eponymous heroes use. There are a number of straight up action sequences which similarly feature these size altering special effects but there’s nothing in it which would really be new if you’d seen the previous Antman film. The sequences in the quantum zone certainly had a strong influence drawn from similar sequences in Dr Strange with a psychedelic clash of vibrant colours and shapes. The effects are fine for what they are but they are nothing special which makes the film stand out from the current crop of contemporary cinema; this hand has been played before by the films which came before it. The film’s soundtrack, in keeping with the rest of the film, is competently made but ultimately doesn’t leave much of an impression. The largely orchestral score does a professional job in punctuating the emotional beats of the film but I’d be hard pressed to remember any theme or melody which was played in the film. This isn’t to say it’s bad but rather that it’s not particularly memorable one way or the other. It does the job it sets out to do and does it with the appropriate level of tone and tempo but I can’t tell you more than that. 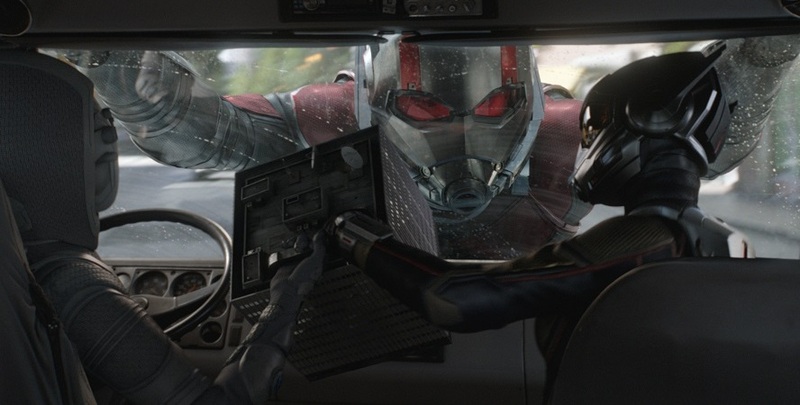 So my concluding thoughts on Antman and the Wasp are that’s it’s a competent film with a high level of production shine which was enjoyable during it’s runtime. The story suffers from a packed playbill with too much going on in the story to really have much focus on any one element. The visual effects are impressive but nothing unique if you’ve seen a Marvel movie or the previous Antman. The film’s soundtrack is similarly well done but without any particularly memorable either. It’s a good enough popcorn movie, sure, but I don’t believe that it really does anything more than spin the Marvel cinema wheels while we wait for the next big hit to come out. It’s enjoyable but I don’t believe this will get you onto the Marvel hype train if you’re newcomer or really captivate you if you’re an old fan. 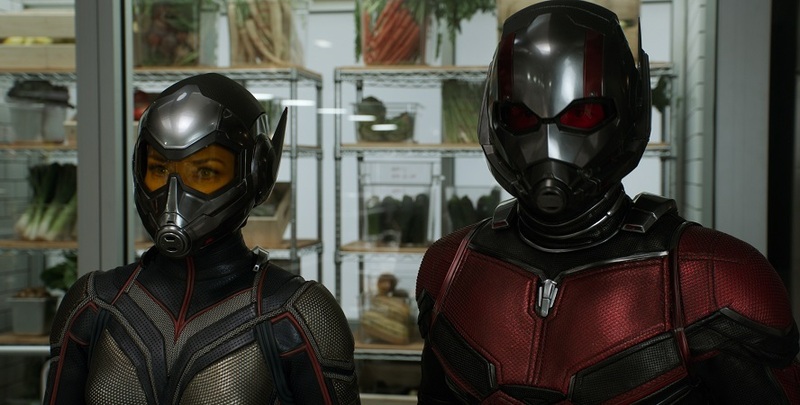 Antman and the Wasp is a polished if uninspired action film entry into the wider Marvel cinematic landscape.